While LCD displays are getting larger and larger on portable devices, it is only getting easier and easier to scratch and damage them. We recently picked up a Sony DSC-T100 Digital Camera, which had one of the largest displays we had seen. While we were on the search for a screen protector, Proporta just happened to launch their new “Universal Screen Overlay” and they were kind enough to provide us a few samples. Applying the screen protector was quite easy. We just took a few measurements and cut the screen overlay to the right size. We then cleaned up the dust and fingerprints on the LCD display using the included cloth. The screen overlay stuck right on and luckily there were no air bubbles. It has been about a month since we first applied the screen overlay and we’ve been quite impressed. The protector never fell off, slid, or even budget for that matter. The only problem we had was that the display was harder to see especially in sunlight. And despite the fact that the camera was handled roughly, being thrown in different backpacks, and placed in pockets it managed to protect the display a 100%! As we had never purchased a screen protector for our previous gadgets, which usually got scratched up quickly, we definitely thing buying one is a good investment now that we’ve seen how well these work. 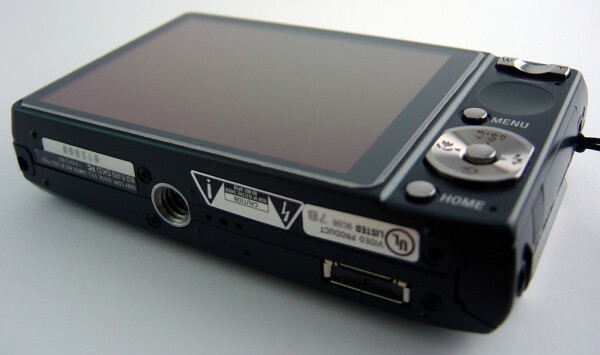 Proporta offers screen overlays for just about any product including iPods (video/nano) and Sony PSPs. 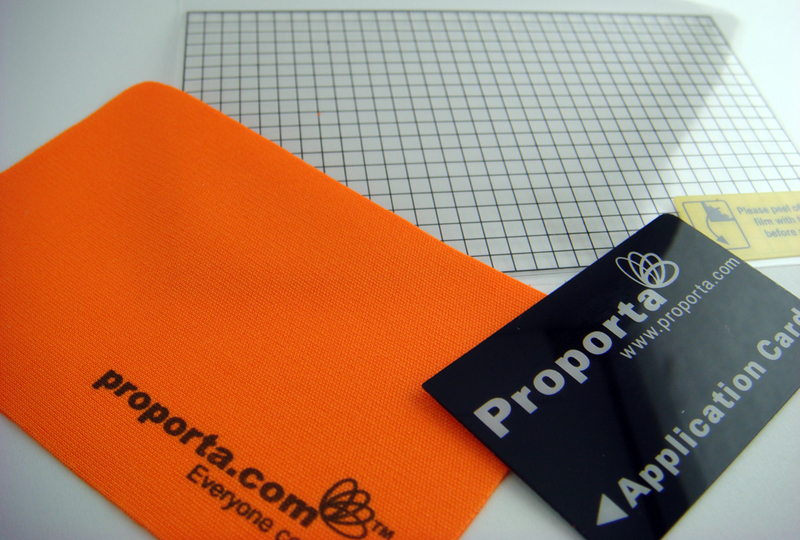 The universal screen overlays are available from Proporta’s website and costs $9.95. As a bonus if you use the code “skattertech” during checkout you will receive a 10% discount!